You have the capacity to facilitate incredible hands-on healing. Join us for Reiki training to learn how, and become a Certified Reiki Practitioner in just one weekend! 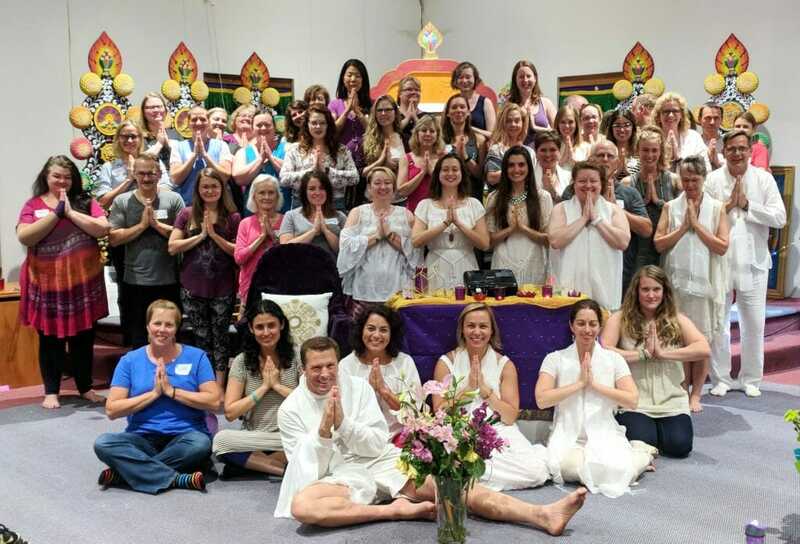 Gain powerful and proven techniques for healing yourself and others, and experience an unforgettable weekend of spiritual renewal and awakening. Be amazed by what you can do after these two transformative days! Can attend for professional or personal purposes! Reiki is a gentle, effective, non-invasive, and powerful form of energy healing. Reiki involves a practitioner placing his or her hands directly above or lightly on the body (client remains fully clothed), typically for 1-5 minutes in each position. Reiki greatly accelerates the body’s innate healing abilities, creates emotional peace, calms the mind, strengthens the immune system, relieves pain, blissfully relaxes, releases stress, creates balance and harmony, clears toxins, enhances personal awareness, promotes creativity, opens the heart, treats both symptoms and causes of illness, reconnects us to our spiritual nature, and much more. Reiki is used and endorsed in prestigious hospitals throughout the world, including the Mayo Clinic and Cleveland Clinic, and it is recognized by the World Health Organization. Reiki originated in Japan in the late 1800’s with a man named Mikao Usui. We all have the potential to be catalysts for healing far beyond what most people recognize, and we are all hardwired for hands-on healing. Just think, when your head or stomach hurts, what do you do? Chances are, you put your hands there! When you want to comfort someone? You likely touch them! To help a child relax and fall asleep? Again, your inclination is probably to place your hands on them. Reiki allows us to powerfully cultivate and channel the gifts of the innate healer within each of us. Reiki compliments all other forms of healing, improving the results of drugs, surgery, psychological care, and other treatments. While Reiki incorporates spirituality for many people, this is not required. Reiki is not connected to any religion and is practiced by people of all major religions around the world. Reiki will work, no matter what the beliefs of the practitioner and client are. Reiki energy is only positive and goes where it needs to. Reiki can be done anytime and anywhere. Reiki is a technique anyone can learn. It is not dependent on intellectual capacity and requires no prior experience with healing, meditation, or any other kind of training. Reiki practitioners are not transferring their own energy to their clients when giving treatments. The energy comes through the practitioner. Reiki practitioners receive healing themselves during a session, as the energy passes through them, and they enter a higher healing frequency. Offering Reiki doesn’t deplete the practitioner’s energy. Rather, it increases the flow of life force energy in the practitioner! Reiki is not just for humans and can be offered to animals, plants, written prayers or wishes, homes, etc. Reiki training gives you powerful and proven ways of helping yourself, friends, family, clients, animals, and others experience blissful relaxation, pain relief, personal and spiritual growth, emotional balancing, and holistic healing from the inside out. If you can relate to ANY of the below, you are in the right place! You don’t know anything about Reiki but just feel this calling to learn more and want to feel a renewed sense of purpose and reconnect to your spirit. This is the perfect starting place. Many people know little to nothing about Reiki when they arrive at the training (several don’t even know how to pronounce Reiki, let alone how to do it!). To me, there is nothing we can trust more than those nudges that spark something in our hearts. Those are the greatest compasses we have when it comes to living in alignment with our true selves. And, yes, this will be an abundantly replenishing weekend, filling your spirit back up and reconnecting you to yourself. Whether or not you go on to do Reiki beyond the training, this weekend will touch your life in ways beyond you can imagine. You have been told you have healing hands or healing energy and want to tap into this gift to help yourself and others. Yes, it is not just your imagination or a coincidence that you’ve sensed or been told this. 😉 You will finally have words and tools and a system to understand your gifts and to powerfully make use of them. It will feel like coming home. You are experiencing your own emotional or physical health challenges and want to learn tools for self-healing. You will learn how to give yourself a full Reiki session and will have Reiki available to you for the rest of your life, anytime and anywhere — to help calm you, relieve pain, improve sleep, accelerate healing of all kinds, and keep you centered and grounded and filled with positive energy. You are a caring and nurturing person and love supporting the people in your life and want to do so as effectively as possible. Thank you for your loving heart! What a joy it will be to have Reiki to share with loved ones in your life — when a friend is recovering from surgery or healing from a loss, when your child falls and scrapes their knee or is having trouble falling asleep, when your furry friend feels anxious, when a loved one is really stressed — whatever it may be. Reiki will be such an incredible way to support them, and they will be so grateful! You want to start a new healing career or add a powerful modality to the one you already have. Woohooo! What an exciting time in your life. Many people are drawn to this training when they long to feel more inspiration and purpose in their work. If you are already in a healing profession, Reiki is amazing at complimenting so many other modalities and taking them to a whole new level (whether you are a yoga teacher, massage therapist, nurse, doula, life coach, into essential oils or crystals, and so on). Reiki also works magnificently all on its own, and you will be a certified Reiki Practitioner after just one weekend and can start sharing it right away with incredible results! Something led you to this page, and I want to simply let you know that we will welcome you with wide open arms and hearts wherever you are on your journey! * No prior training required whatsoever. Reiki is for everyone! 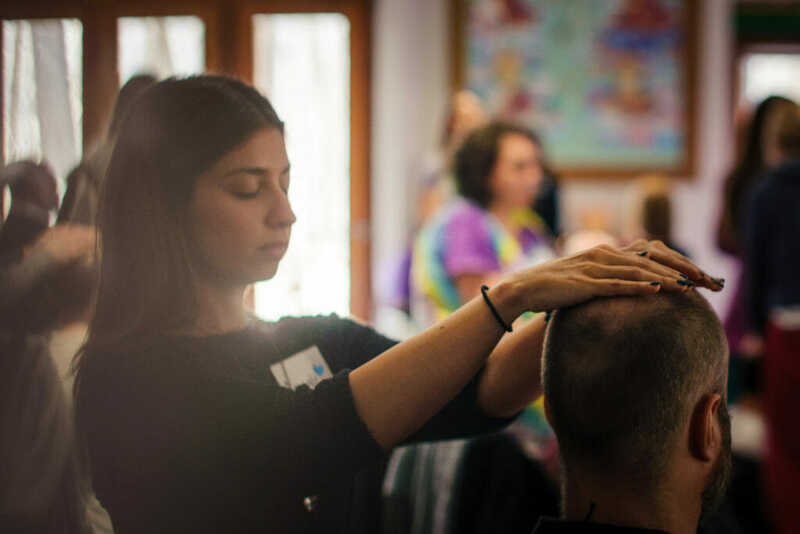 Receive Reiki I Certification, a full day of experiential training, personal healing, an energetic attunement, and a comprehensive manual to take home. Learn Reiki positions and 10+ powerful Reiki techniques for self-healing and facilitating healing for others. You will know how to give a full Reiki session to yourself and others by the end of the day and be able to facilitate amazing relaxation, pain reduction, spiritual and personal growth, and healing from the root cause! Cultivate a gift of healing that you can instantly start offering to friends, family, animals, clients, patients, plants, yourself, and anything else your heart desires. Build community with wonderful like-hearted friends. Get to know this abundant source of life force energy (ki) within and all around us and how you can tap into it to serve the greater good. Develop a powerful tool to use anywhere, anytime, and with anyone. Be inspired and rejuvenated. Deepen self awareness. Gain a renewed sense of purpose, spiritual connection, and meaning! Amplify your abilities to powerfully offer pain relief, relaxation, balancing, and healing (from the root cause) for yourself and others. Learn to use Reiki to heal unresolved issues from the past, for yourself and others. Offer distance Reiki to individuals living anywhere on the planet. Transform your relationship with your body into one of loving teamwork. Cultivate tools for opening your heart. Better understand the relationship between your body and emotions. Learn tools to clear emotional, mental, physical, and spiritual blocks and rebalance your energy centers. Meet wonderful new healing friends. 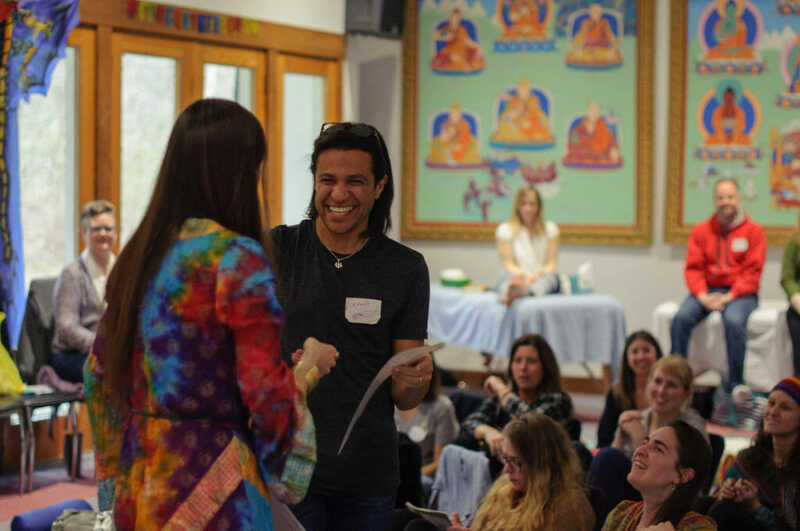 Receive Reiki II Certification, a full day of experiential training, an energetic attunement, and a comprehensive manual. *Pre-requisite: Must have completed Reiki I with any certified teacher. You are highly encouraged to attend levels 1 and 2 the same weekend if possible, as it will help you feel fully equipped as a Certified Reiki Practitioner to start offering sessions right away! Experience the magic of giving healing attunements. Learn how to give an entire Reiki session based on intuitive guidance. Learn to sense where imbalances occur in your clients and where Reiki is most needed with Byosen Scanning. Activate 2 more Reiki symbols, and practice a multitude of ways to use them. Enjoy the exquisite experience of Gyoshi Ho, giving and receiving Reiki healing with the eyes. Learn to offer Reiki healing with your breath through Koki Ho. Learn to use the Reiki Power Breath and Reiki Heart Breath in ways that open and clear your energy channels, boost the magnification of Reiki, and prevent you from taking on the the energy of your clients. Discover the joys of giving yourself a Reiki Shower and how to practice Kenyoku Ho for cleansing and purifying. Learn Hatsurei Ho, a meditation technique to help you generate large amounts of spiritual energy in your body. 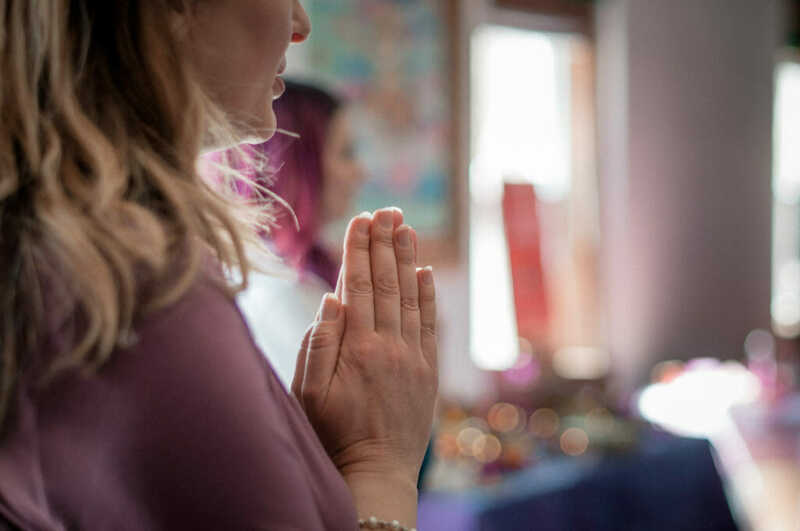 Focus on practices for deepening your spiritual connection to Reiki. Personalize Reiki as a unique expression of YOUR healing gifts. 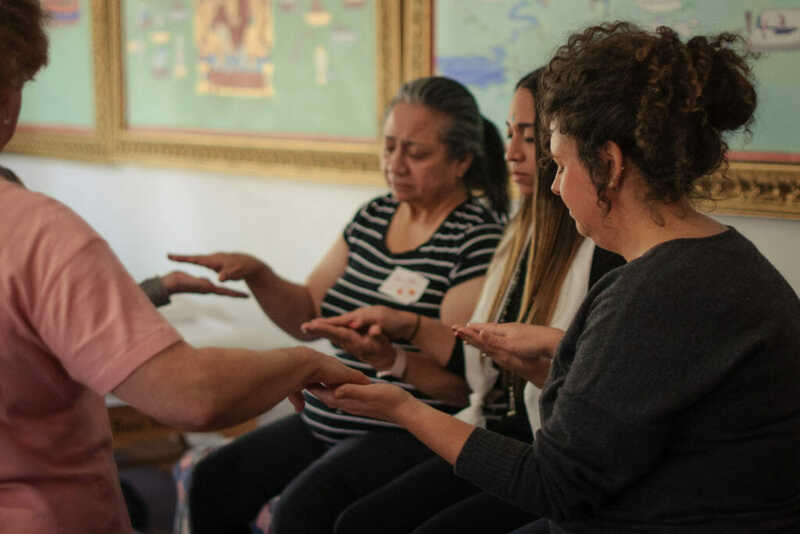 Receive Reiki III Master/Practitioner Certification, two full days of experiential training, an energetic attunement, and a comprehensive manual. Expand your community of supportive, like-hearted, and healing friendships. Learn grounding ways to take wonderful care of yourself as a healer and protect you from taking on the energy of others. 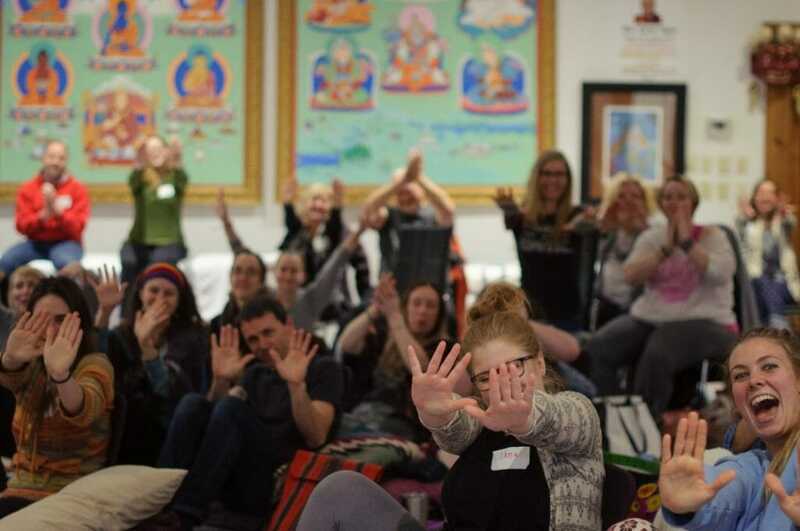 Experience a personally healing, rejuvenating, inspiring, and unforgettable weekend. Fall in love with Reiki all over again. …and MUCH more! After completing levels 1-3, you have the opportunity to deepen your Reiki journey, either personally or in preparation to teach and certify others. We will customize your apprenticeship to make it as meaningful, helpful, empowering, and life enhancing as possible for you, depending on your unique goals and intentions! Here is a general structure to give you some sense. Perhaps this format will be just what you need, and know that we can alter it in any way to make it serve you in every way! You can then attend any levels 1, 2, or 3 for FREE for ongoing integration! * You can assist at Reiki 3 before levels 1⁄2 if timing works out that way! Private sessions are generally an hour. I enthusiastically welcome you into the life changing journey of getting to know your healing hands! Christine Eartheart has been enthusiastically facilitating healing and transformation with individuals and groups of all ages since becoming a Certified Reiki Master/Teacher in 2004. As a counselor, coach, teacher, and energy healing practitioner, she has been honored to support clients in thousands of breakthrough sessions, has taught 60+ Reiki workshops, and has been blessed to train and certify over a thousand Reiki practitioners. Christine teaches with a wide open and joyful heart. 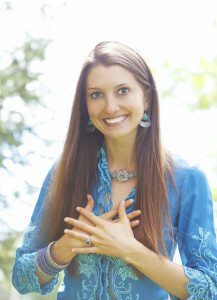 She aims to appeal to diverse learning preferences — combining science with spirituality, concrete tools with embodied practices, detailed presentations with transformative and unforgettable rituals. 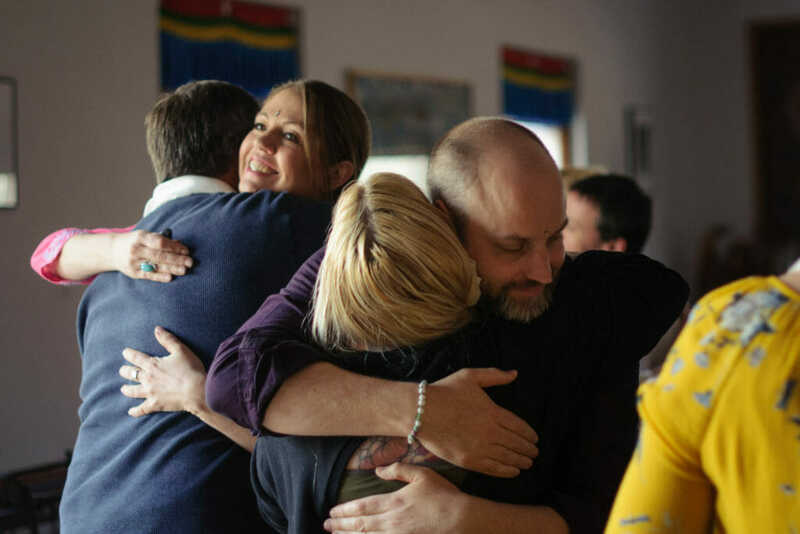 Christine’s workshops are truly one-of-a-kind and are not simply trainings but are life-changing immersions to help you step into the fullness of your purpose, healing light, and greatest gifts. Christine is in awe of the human capacity for healing and transformation and loves cheering on the unique gifts and brilliance inside of everyone. Christine is Founder of Joy Potential where she helps people awaken to their true inner light and also founded and runs the Center for Thriving Relationships with her husband where she offers couples counseling and retreats. Share this special weekend with a friend! *Be sure you each purchase this option, as this is only for one of you. Sign up for Reiki 1, 2, and 3 all at once, and save + get a free crystal bowl! If you feel called to join us and money is a barrier, consider an automatic payment plan above. If you don’t see a plan here that works for you, please absolutely be in touch! We can design a custom payment plan for you, stretched out for up to 12 months. Please simply email Christine@JoyPotential.com for details. Although all payments & payment plans are final, if you need to cancel, rest assured that you can transfer your spot to someone else or can keep it as a credit for a future training (expires in two years). If you have any questions, let’s connect! Contact me at 812-345-2169 or Info@JoyPotential.com to have all your questions answered! I’d love to hear from you!